Isiah Factor | The Insite » BREAKING NEWS: SCOTT GERTNER’S SKYBAR IS CLOSING! 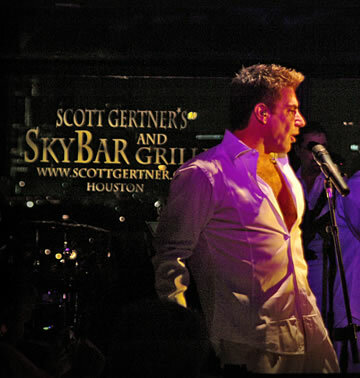 BREAKING NEWS: SCOTT GERTNER’S SKYBAR IS CLOSING! June 30, 2010 | Posted in Uncategorized | Comments Off on BREAKING NEWS: SCOTT GERTNER’S SKYBAR IS CLOSING! IT’S THE END OF AN ERA IN HOUSTON! After years of entertaining the community with one of the best live performances in the region Houston’s own Scott Gertner confirms he is closing one of the most popular venues – the SkyBar. Gertner pulls no punches on the issue. He says the Montrose Blvd. nightclub is closing because the new owner of the building where his club is located is not making the needed repairs. He tells the Insite his last night in business will be this Saturday July 3rd. So, that makes it quite clear where we all need to be this weekend. However, Gertner still has his sports bar which is located off of Richmond near the Galleria area. Good bye Skybar – we will miss you!